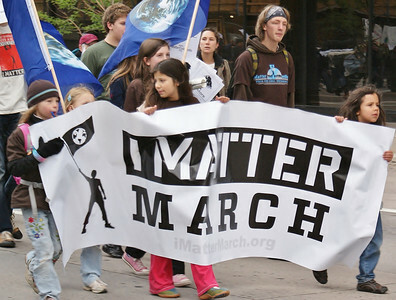 Group of teenagers and younger girl march with large "I Matter March" banner, large group of protesters behind them with banner, signs and earth flags. 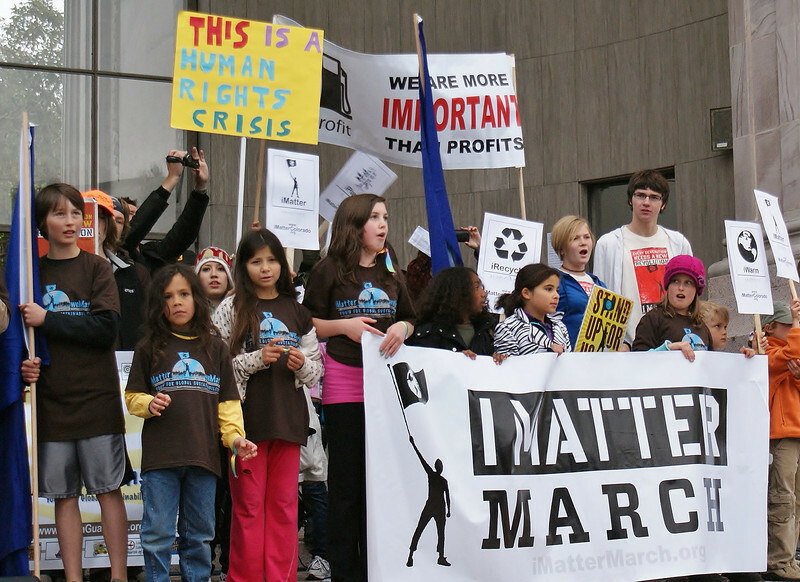 Group of teenagers and younger girl march with large "I Matter March" banner. 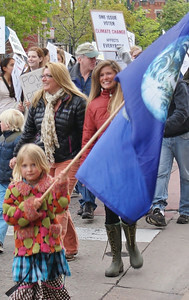 Young girl carries earth flag, other climate cahnge marchers behind her. 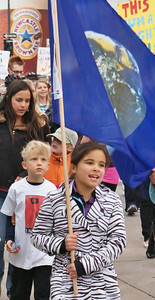 Young girl carries earth flag, young boy behind her looks up at flag, other marchers behind them. 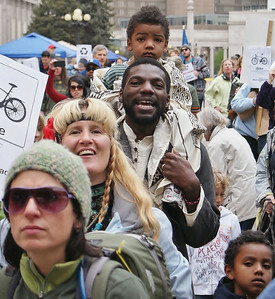 Line of marchers smiling, one African-American man with daughter on shoulders, other protesters behind and in front of them. 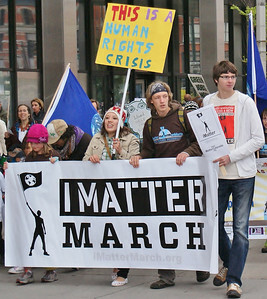 Young boy with torch and young girl with earth flag lead march, others carry large "I Matter March" banner behind them. 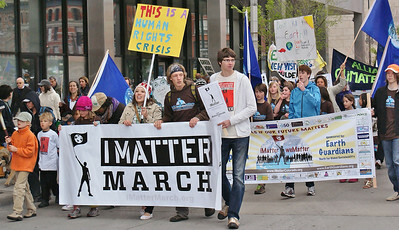 Young children carry large "I Matter March" banner, other protesters with earth flags behind them. Large group of young kids and teenagers stand on stage with "I Matter March" banner, signs and flags. 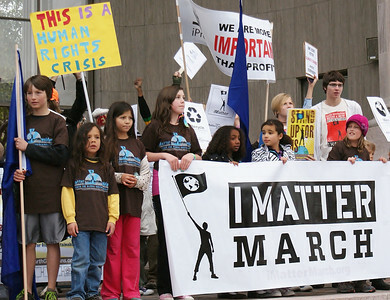 Group of kids stand together on stage, one with torch, all wearing "I Matter March" t-shirts. 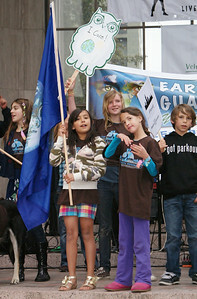 young gilrs and boys standing with earth flag and signs. 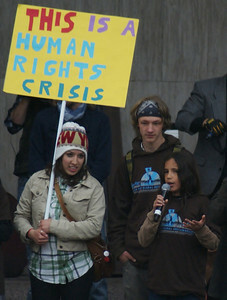 Young boy wearing "I Matter March" t-shirt speaks using microphone, young girl beside him with sign about human rights. 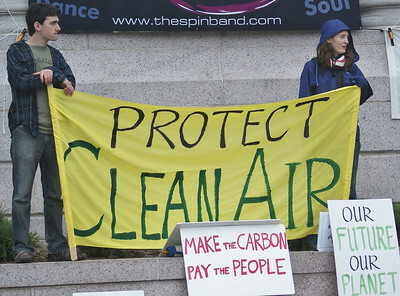 Two protesters holding "Protest Clean Air" sign. 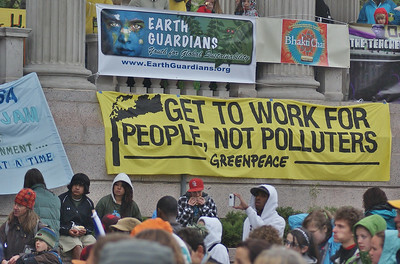 Young African-American man takes picture of other protesters with cell phone, banners about environmental issues hang above the crowd. 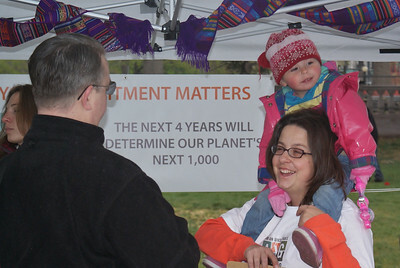 Woman smiles while holding daughter on shoulders, sign on environment behind them. 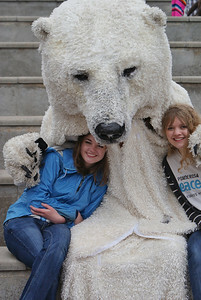 Two young girls smile while sitting next to person in polar bear costume, bear sits with arms around them. 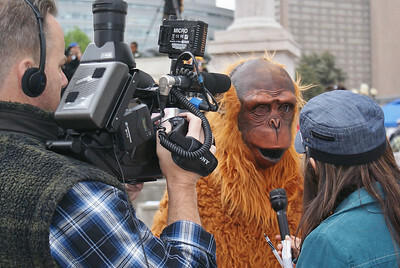 Person in gorilla costume being interviewed by TV news reporter. 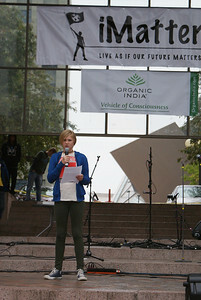 Teenage boy holding microphone, speaks on stage. 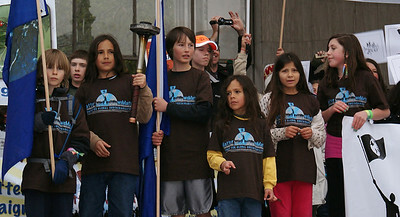 Young boy speaks on stage using microphone, banner above him. 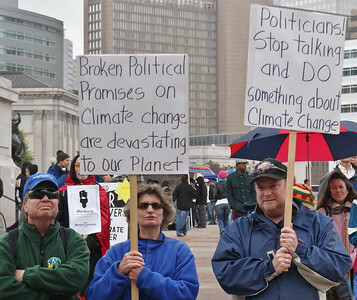 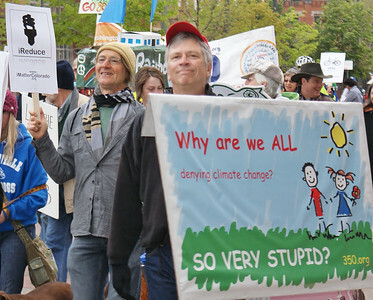 Man and woman hold signs about climate change, other demonstrators behind them. 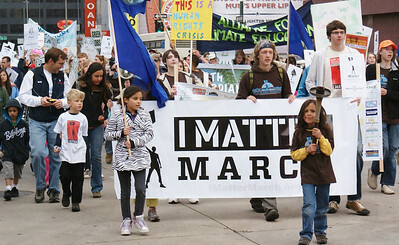 Man carries large banner about climate change, other marchers behind him.